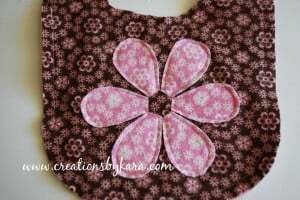 I shared this baby bib tutorial over at UCreate last month, but I realized that I never posted it here. I think it’s about time, don’t you? 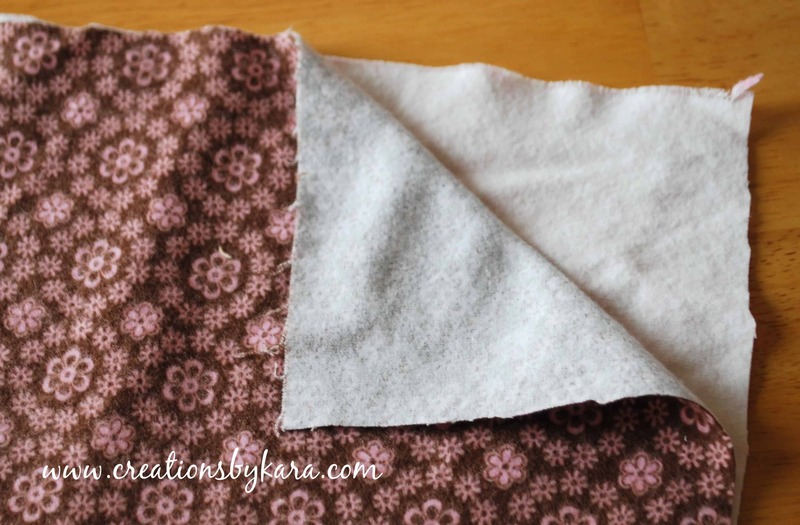 I came up with the idea when I was making my frayed edge baby quilt. 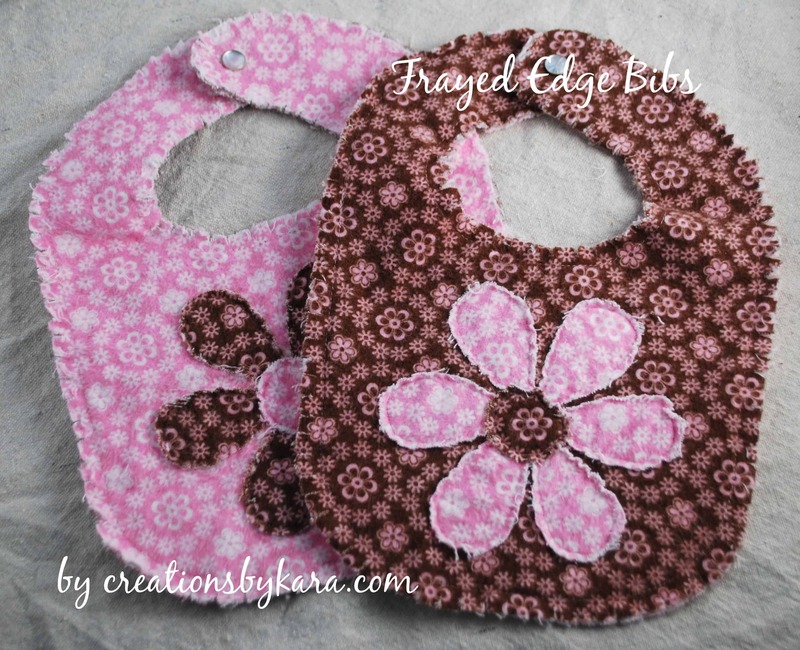 I had some fabric left over and thought if a frayed edge quilt was cute, a frayed edge bib would probably be cute too. I am totally pleased with how they turned out! Wanna learn how to make some? 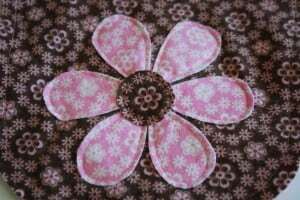 -Fabric, enough for the back, front, and flower. I used about 1/4 yard. -Bib pattern or old bib to trace. 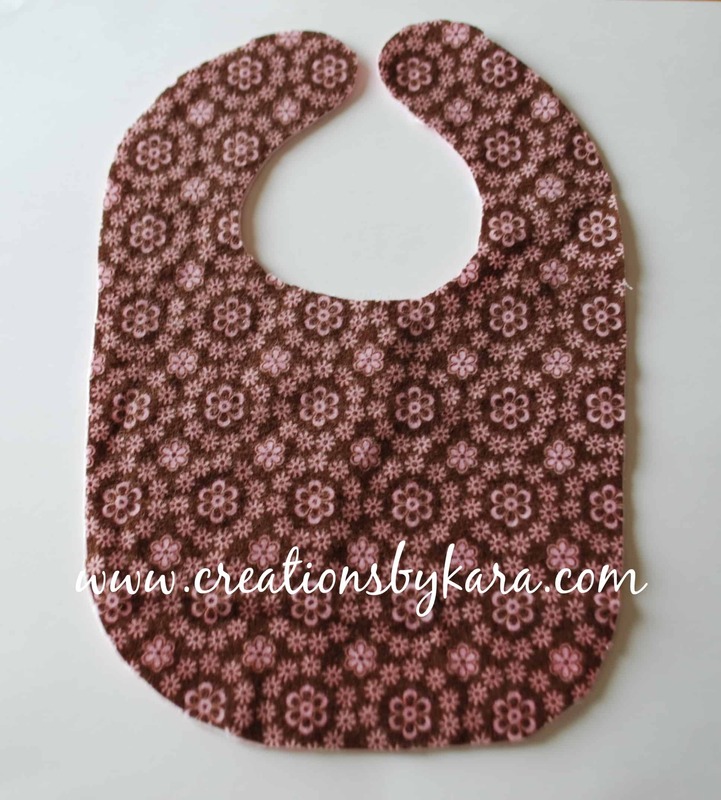 I traced a bib I already had, but you can find a similar pattern here. 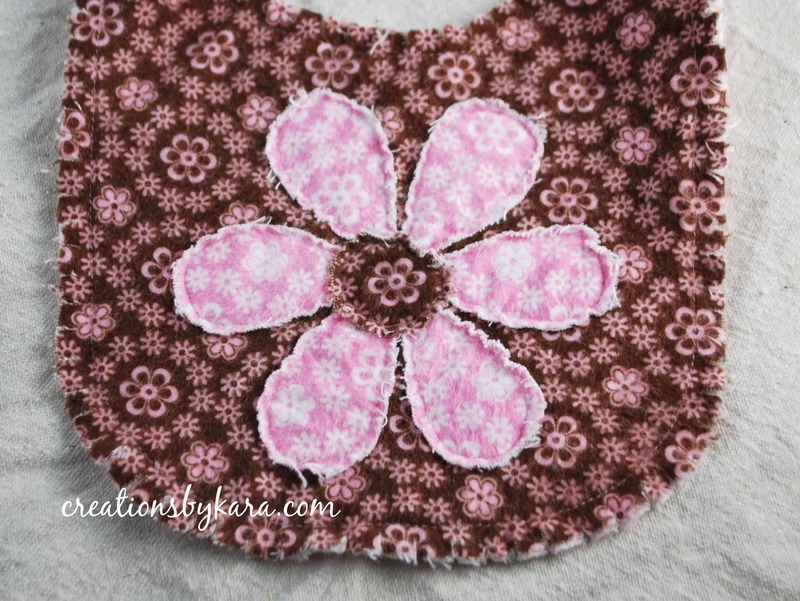 First you need to make a pattern by tracing a bib, or downloading one. Take your two pieces of fabric and place them wrong sides together. 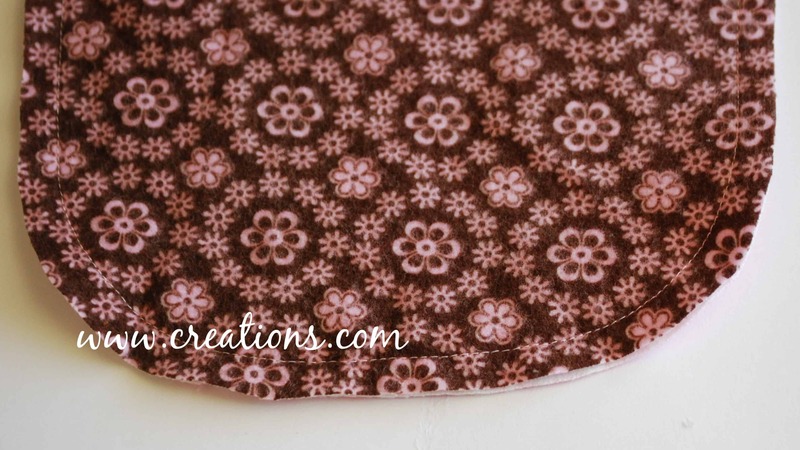 I used two coordinating prints, but you could use the same fabric on the front and back. 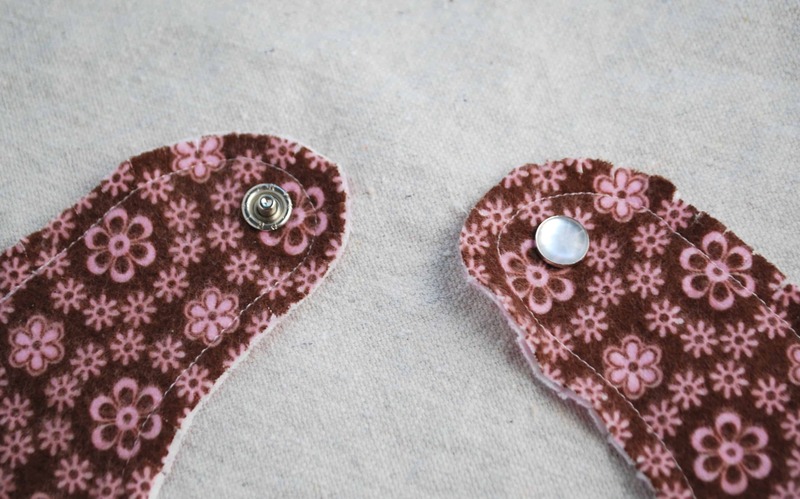 Place the pattern on top of the fabric and cut through both layers. Machine stitch both pieces together, about 1/2″ from the edge. You will not be turning it inside out, so go all the way around. Now it’s time to add an embellishment. I did a flower, but you can use any design your heart desires. Cut out your six petals. Arrange them on the bib the way you like them. I like to secure mine with glue stick. It helps them stay in place white I am sewing. Now stitch around all of the petals. Cut out a circle, glue it in the center, and stitch around it just like you did the petals. Isn’t that cute? We’re almost finished. 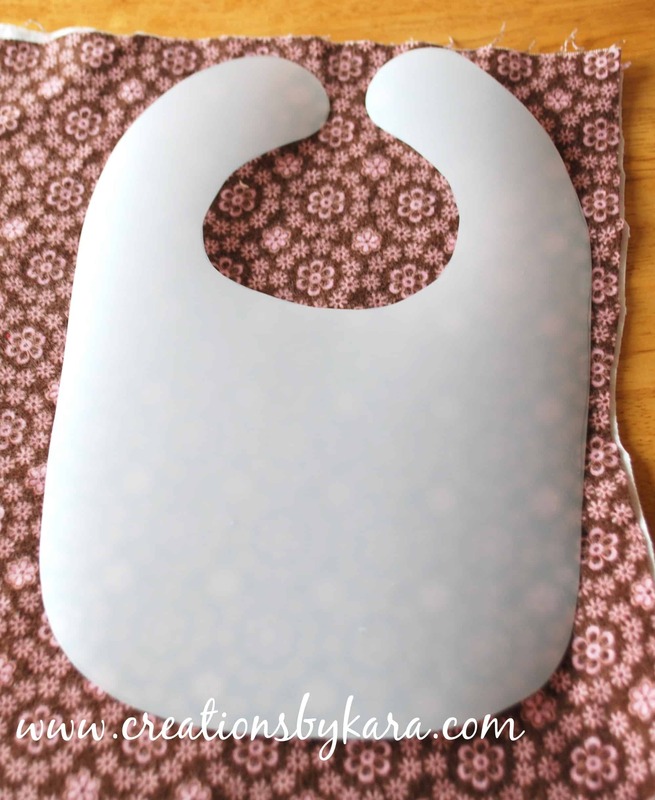 Now take your scissors and cut slits about 1/2″ apart all around the edge of the bib. Make sure you don’t cut through the thread! After you’ve finished snipping, it’s time to attach the snap. I just used a packet I bought at Walmart and followed the instructions on the package. Mine involved the use of a hammer, but there are several different varieties. You could also use velcro instead if you want. I feel like I’m the only 16 year old on this haha. Great idea I definitely will be making thesense for my own children and as gifts! I seen another thing like this and they add alow loft batting to to the middle for absorbing better. Do you think this would work with these bibs? These bibs have been fun to make, I’ve made two so far for my granddaughters. 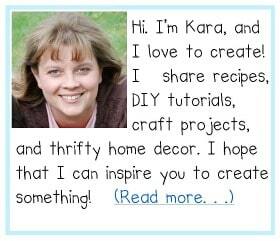 Thanks so much for sharing you great ideas, and making the instructions so easy to follow! Hi, I want to thank you for the quilt tutorial, it was great and the steps were spelled out beautifully for a beginner (and I am). The cutting of all the edges for the final step just about put me over the edge, but I did it!! Very cute, now I’m going to try the bib! Sorry for coming to the party so late, but wanted to share that I have made bibs like this using denim for one or both of the layers. Worked out beautifully! Bibs were not only easy to wash but cute as can be. These are adorable! I have a three month old grandson who spits up and slobbers so much that he needs to have his outfits changed several times a day. So, I started making a wide variety of bibs. 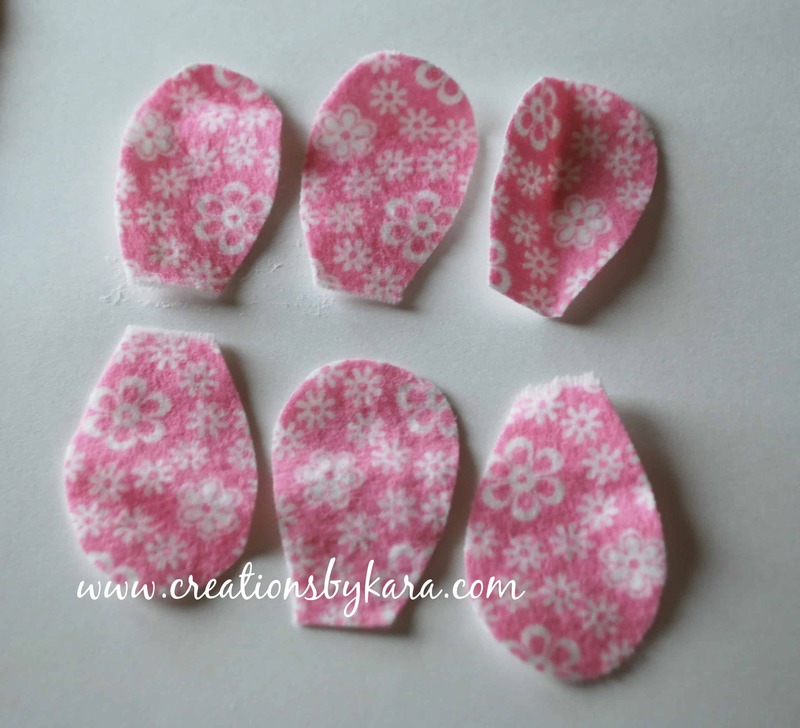 I have lots of odds and ends of flannel and have made them from two layers of flannel with a layer of lightweight felt in between. So far, he’s never soaked through any of them! Even if they get gross, changing his bib is much easier than changing his whole outfit! 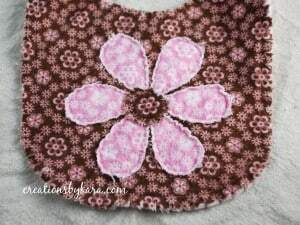 I’ll use a different applique besides your flower pattern for my grandson’s bib but his dad’s best friend has a new little girl I need to make something for, so I will make her a pair of color coordinated bibs like yours. Thanks so much for sharing! I just finished one for my grandson. Instead of an applique, I put a strip of a print fabric down the center, for the top layer, with a strip of accent fabric on each side, When I put it together with the solid backing piece, I top stitched an eighth inch from the seams on the top piece, through the back. It’s not as thick as the other bibs I’ve been making, but my grandson will be here all day tomorrow, so we will see how it holds up to a day of spit up and slobber! Haha, bibs seem to be like socks that way, don’t they? Hi, is this tutorial did you use flannel? and does it work on cotton? I love this!! Great tutorial. Thanks for sharing. 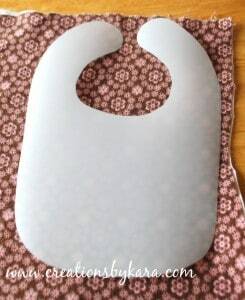 Extend the one side to curve around and place the button on the front of the bib by the chin, as it is easier to button up, especially when your baby has hair. love these! i can’t believe how simple they are to make! I also used your tutorial for the rag quilt you made with this same material. So easy to follow! thank you! I am making some of these today since I vowed to use up all my flannel pieces before I am allowed to buy anymore and JoAnns is having a big sale on the 5th of March, so perfect timing to find this pattern:) Thanks for sharing it with us! Did you use cotton or flannel in the bibs pictured here? I am super excited to try making them! I used flannel for mine, but cotton would work too. It just doesn’t fray quite as nicely. Hi Kara! These are so adorable. 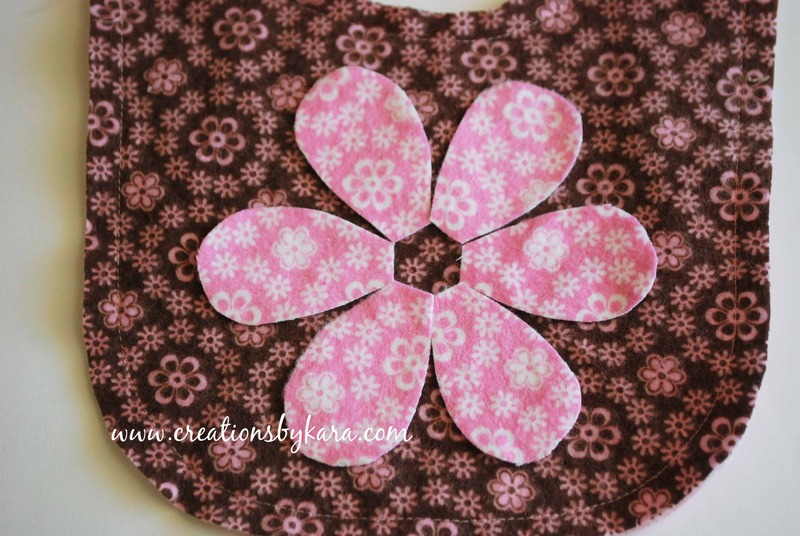 I am just learning how to use my sewing machine, but would love to make these cute bibs. I featured them in my Friday Favorites! hey girl, just wanted to let you know i featured this today! Super cute Kara! Thanks for planting your creative seeds at Plant a Punkin Seed Party! Beautiful! I love these! I can’t wait for a friend to have a baby girl so I can make one! These are so cute! They look soft and just what a baby would want. Thanks for the tutorial! Thanks so much for sharing this! My sis just had a baby about a month ago and I’m dying to make some bibs. These are super-cute!! Super Cute! Every Mother enjoys receiving a handmade gift that is cute, practical, and useful! Thanks for sharing! I agree Brenda. Those were always my favorite baby gifts. Nothing beats handmade! i followed this tutorial to make some of these!! thanks so much for posting this!! I can’t wait to make some more!